out these free anchor charts that may help with this problem. Oh, the things you can do with those dots and squares games! How do the old dots and squares games support learning for students? There's a multitude of ways! Find tips on how to make these and 3 completed sample games here! Need some quick and easy flashcards that won't get lost? Glue these down in those interactive notebooks. Free for you. 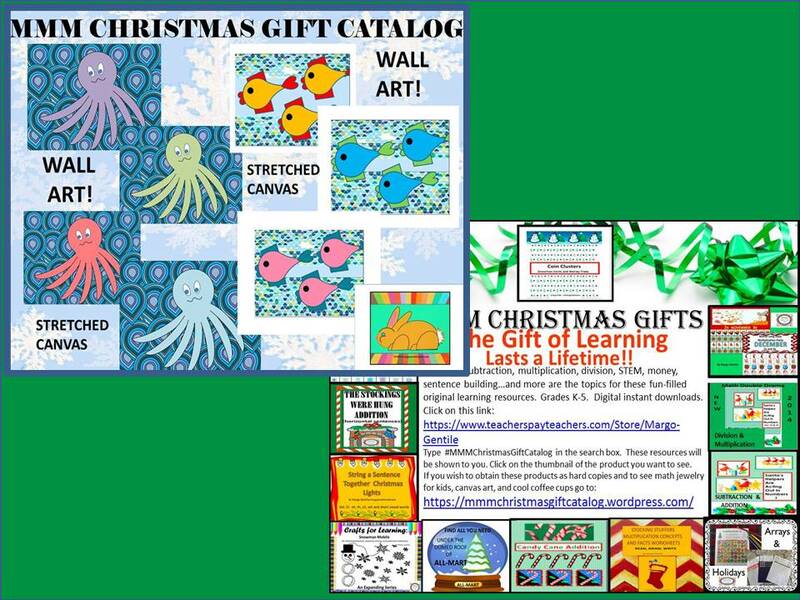 Take a look at these wonderful Christmas gift catalogs. Specifically for Kids and teachers. Get into the Halloween spirit with addition. Fun, not scary. Good activity for grades K-2. A little hands on and pretending help students experience basic addition. Can be enacted as a whole class, small group, or with 2 individuals. Using household items-paper plates and tiny buttons-plus a print out or screen shot of my graphic of a spiderweb are all the materials all you'll need to make this fun educational activity. Addition, addition facts, commutative property. 1. Commutative Property of Multiplication-Hangers become "Switcheroo Spinners"
Oswego School District provides an outstanding website resource.